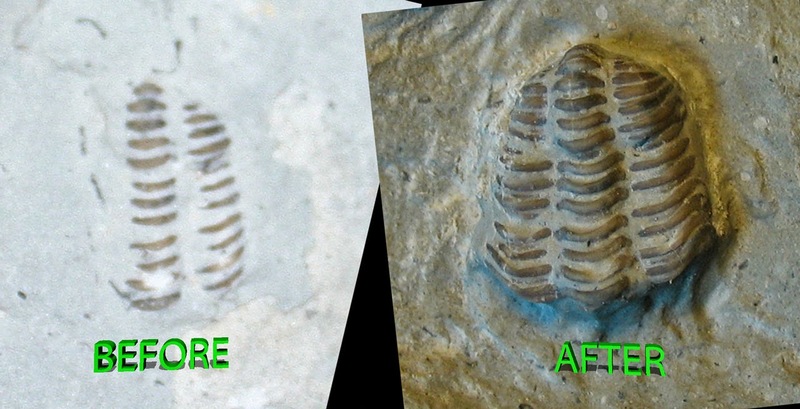 I had high hopes for this trilobite fossil that was buried in matrix. It was possible that the cephalon or head was still buried in matrix along with one of the thorax lobes and tail (pygidium). So after using an air scribe and sand blasting it is revealed a tail but no head. A headless trilobite and it is not even Halloween yet! Oh so scary. Next image shows fossil with a ruler to give the viewer some idea its size. 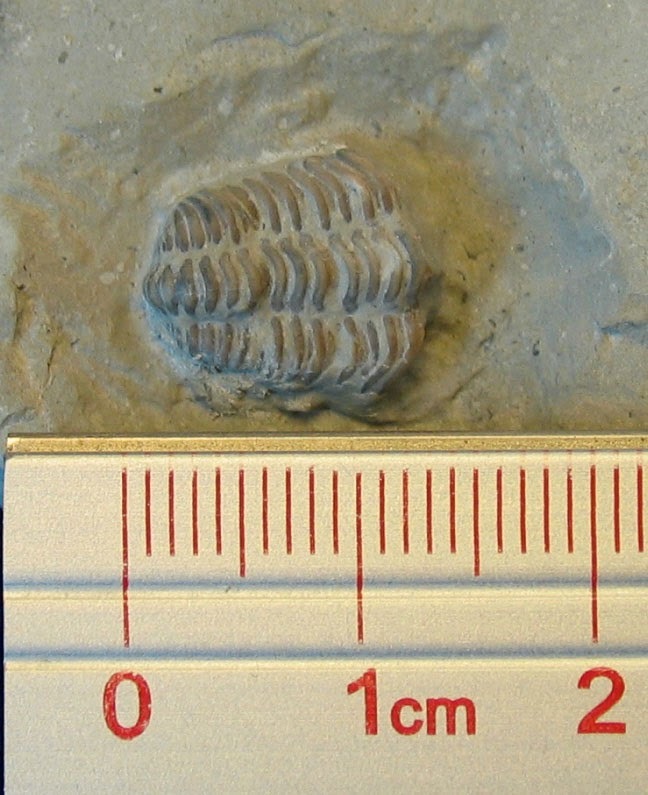 Fossil is a Silurian Calymene sp. 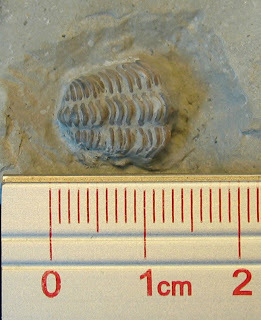 trilobite found in the Waldron Shale of Indiana.